Our staff has years of vacation planning experience. Whether your idea of a vacation is an adventure vacation, an escorted tour, a cruise, Disney World or a Caribbean vacation, Mariner Travel's expertise will make planning your trip as enjoyable as the trip itself. We know our destinations, and we take time to get to know our clients. You can count on Mariner Travel to get you the best value for your vacation budget. 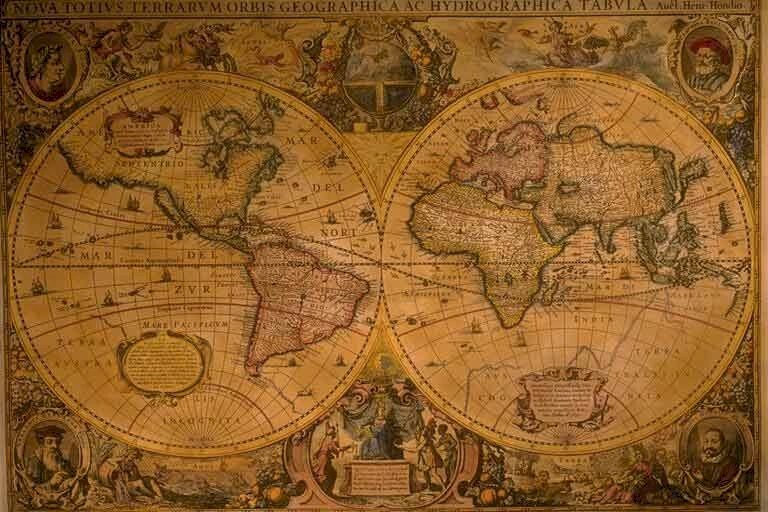 Here, warts and all, are some testimonials from Mariner Travel clients. Club Maeva was just what the doctor ordered. Was very quiet there until the weekend when about 120 people came in. Weather was great-humidity awfull-so we stayed on the beach all day long. Went into town and did some shopping on two different mornings. Other than our flight out of PVD in the am being cancelled due to Philly being fogged in,the trip was perfect. The Re-route thru Charlotte worked out just fine. Thank you so very much from both Karen & myself. We appreciated so very much what you did for us. You will here from us again whenever we make our next travel plans. Thought we'd let you know we're back and had a great time...Beach was hard to beat. thanks for everything.... Hampton Inn at Logan Boston worked out well. We had an excellent time. We are hoping to go back next year, maybe Hedo II. We will keep you in mind. Marianne: We had our best family vacation yet. The weather was a perfect 82 high 72 low with no rain. Jamaica is a beautiful island and Beaches was excellent. However, this type of vacation adventure may not be for everyone. Jamaica is a whole different country and moves at a whole different pace. Customs is a 1-3 hour process. If you go expecting Disney World like service you will be disappointed. Beaches resort is a 1:15 bus ride from the airport which had some folks grumbling. Also, I wouldn't go with very young children despite the Sesame Street advertising. On the positive side (and there are many). The resort was beautiful. Great beach, 2 large pools, waterslides, lazy river, outdoor jacuzzis. We snorkeled, rode jet skis, catamarans, kayaks, water trampolines. The kids had access to "free" Xbox games in a game room, pool, ping pong etc. They could drink all of the smoothies they wanted. Ice cream machine 24 hours a day. The food was very so lid, but not gourmet. We were very happy with the quality and variety. The swim up bars were a hit with the grown ups. The staff at Beaches was wonderful. They were very friendly and engaging if you took the time to chat with them. Overall we had a great trip. There were several uptight New Yorkers complaining about every aspect of the resort, but if you can just go with the flow and appreciate where you are and just let your hair down and have fun you will have a great time. I wouldn't send anyone to Beaches unless they have kids. Our kids had so much to do, we really had a lot of time on our own, but it is not a couples type of resort. I also wouldn't send any Narragansett blue-bloods expecting luxury because the resort is very much a beach resort with average, but amusing service. The food is not gourmet, but very enjoyable. The entertainment was fun, but not Vegas. The rooms are tidy, but not Four Seasons. I think you get the picture. Thanks for all of your help. I've attached a few photos of the clan. Talk to you soon. We had a fabulous time. Did not want to leave. A couple little incidents, but we'd go back again. Definitely. J. got sick (walking pneumonia, come to find out) the second day, high fever for two days. But we still had a blast. We didn't do much because of his illness. Sat (drank, swam, and slept) on the beach, ate a lot of incredible food, went into Playa del Carmen for an afternoon (ran into two women I know from Richmond RI! ), the Moonlight Dinner w/lobster was great. Couples massage was nice (didn't go outside, too windy), tried every restaurant except the mexican one (go figure). What we didn't like - they tried to sell us time shares - very pushy. We refused to go to the seminar, though. They even called our room and stuck something under the door to try to persuade us! We borrowed DVDs from the concierge one night when Jay was sick. Watched half, then left to get dinner. We came back, and the DVDs were gone. One off the bed, and the other was taken out of the machine. They never showed up in the concierge office, so we reported them stolen. Seems like when our towels were brought to the room, they disappeared. But nothing of ours was missing. We loved the Iberostar Paraiso Beach in Mexico. Thank you very much for all your help. You can be assured that when my husband and I plan to go away again - we will be coming to you for help. As well as recommending your agency to our friends and family. Well honestly we did not notice the mistake in our booking till we got there. There was some confusion at the beginning but the resort assurred us that everthing would turn out good, which it did. As long as it was dealt with we were happy. We loved the place, we had the best time ever!!!! It was so sad we had to leave. The resort was awesome, loved all the activites and most of all the Meavamigos!!! We could not have had a better time anywhere else. I want to go back again. Thanks for choosing a great spot, we loved it. Just wanted to thank you again for recommending this trip to Mexico. Bill and I had a wonderful time. We feel that this has been the best trip yet!! The Hotel was amazing, we loved the food, room, beach, everything. We also took a trip to the Xel Ha water park for some snorkeling..plus, spent some time at Tulum. The plane was delayed leaving Cancun, but when we hit Charlotte, we ran through the airport and made the connection. Terrace - A buffet that changes its theme every night. Hit or miss. Great for breakfast, good selection of foods, make eggs, omelette's on the spot. Beautiful overlooking the pools and ocean. Java Cafe - Simple menu but nice. Pool Grille & Bar - Standard Beach food for lunch. Pretty location. Mangoes - Standard Beach food for lunch. Outside the pool with the water park. Pools - 2 of them in two different locations. Entertainment - Nightly and enjoyable. We missed the steel drums on Friday, so I was a little disappointed. Beaches - Small, but beautifully kept up, raked daily and again plenty of chairs to be found on the beach and by the pool. Water was sooo warm and not one rock to be found. Beauty Salon - They did a great job on my daughter's hair. We got the whole head done. In fact, it still is in and looks great still (2 weeks later). We all had a great time. What a wonderful trip, thanks for recommending it. It is just what we all needed, after such a dreadful winter!!! Sorry for the delayed response, both of our heads have been in the clouds since we have been back. The vacation, resort and everything was absolutely perfect. Perfect weather, perfect beaches, and perfect drinks (many of them). Thank you for all your help and everthing you've done. We look forward to seeing you again in the future. The Barcelo was wonderful. We loved it. The kids had a great time. We would highly recommend it to anyone with kids. As usual it was too short!! Thank you for that recommendation, it was absolutly beautiful. We had soooo much fun, it was perfect for us. The food was delicicous and the people were so nice and fun!!!! We were thinking that next year we would spend two weeks. Unfortuantly there a little miscommunication with our travel guide we were not able to make it to Chicken Pizza, but all the more reason to go back, and we have many friends there to go and visit. All inclusive was very convient for us too!!!! Thank You Again SOOOOO Much we really LOVED it , you made our year. My wife and I thoroughly enjoyed the El Dorado Royale. We opted for a beautiful, well-appointed beachfront room which was a mere 50 paces from the beach and the health bar. We sunned and swam daily; nothing like warm air and water. We also enjoyed the food (the Cocotal in the main building was our favorite) and appreciated having many options for dining. The workout facilities were adequate although I would have liked more options for places to run. (The main road was not a pleasant alternative.) We found the staff to be courteous and conscientious although only marginally bilingual. Last, we did not like the full court press from the desk of the main concierge on joining the "travel club." They did not graciously accept a negative response to their offer to sit and listen to a 1.5 hr presentation on my time. In sum, would we return? Yes. Thanks for your assistance in putting the vacation together. Mayan Riviera MX, El Dorado Royale, May 2004, w/ USAirways VacationsWe loved this resort ...... The facilities and service was outstanding. It was quite windy and the ocean was choppy - not good for swimming. There are manmade sandbars (not too attractive) to preserve the beach. The pools were lovely as were the grounds. The new main building/lobby and restaurants in the new building were all very upscale. We both had numerous spa treatments. I received a free body scrub, massage, manicure for being part of a video for their onsite spa promotions. We thoroughly enjoyed ourselves and liked flying USAirways MUCH better than a charter. We would recommend this resort to those folk interested in a quiet, upscale, no kid vacation. Cancun MX, Costa Real all-inclusive, w/ USAirways Vacations, April vacation 2004, family of 4, Thanks so much for getting us that great deal on Cancun. It was wonderful. We had great weather, great food, and great fun. I'll keep you in mind for next year's vacation. Aruba, Holiday Inn, all-inclusive, w/ MCM tours, Jan. 2004 The trip was wonderful..........we really liked going mid-week, no crowds! Our only complaint........it wasn't long enough. We are probably going back next February - this time for 10 days. I will be in touch when it's time to set the date. Cancun MX, Fiesta Americana, w/ USAirways Vacations, Dec. 20, 2003: Great trip. Parents loved it, so did i. Thanks for your help. I'm happy I didn't do all-inclusive - we ate out all the time. Jamaica, Wyndham Rose Hall, all-inclusive w/ USAirways Vacations, Dec 27 2003 Terrific trip- thanks! Great suite, food, staff and weather. We'd give it high marks. thank you for recommending it. Mayan Riviera MX, Reef Coco Beach w/ TNT, March 2004 Just want to report in on our trip to Playa del Carmen. The Reef Coco Beach was only 3 months old, just the right size, and very pretty. The location was good because it was easy and fun to walk around town. The trip to Chichin Itza was definitely a highlight. The buffet food was fair and the two restaurants weren't much better though the food looked prettier and was nicely served. Weather was perfect. I love Mexico, but every time I go I get sick. My husband didn't though he ate and drank the same stuff but I have a weaker constitution I guess. Thanks for reminding me to take Imodium or I might still be there. Also, I don't know if we'd use a charter again. It was so crowded, cramped, seemed to take extra hours at the airport, and didn't get back to Boston until 3:45 AM instead of midnight. All in all a decent trip and we really needed to get away and relax. Thanks for your help and hope this info may be useful with other customers. Jamaica, Holiday Inn Sunspree, w/ USAirways Vacations, Mar 2004 As long as it is warm and sunny, I can have a good time. The Holiday Inn Sunspree Montego Bay was definitely only a 3*, versus the 5* we stayed at in Dominican Republic, but for the money in Jamaica it was fine. 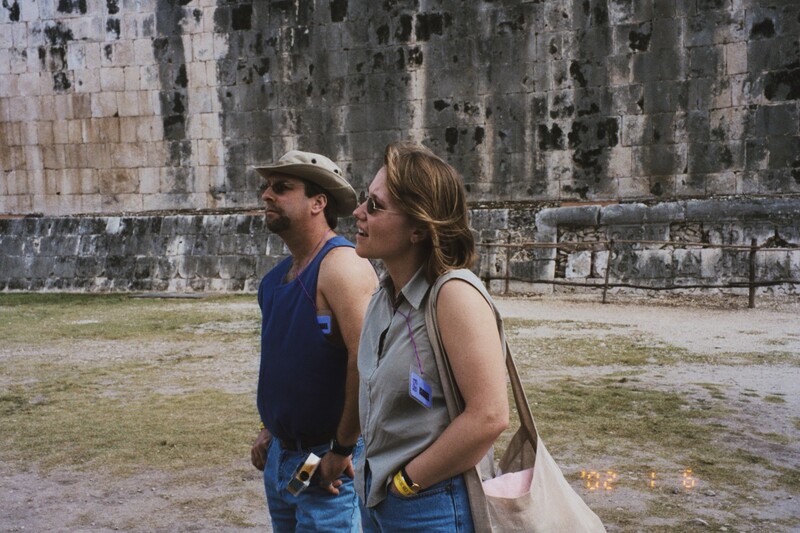 Mayan Riviera MX, Paradisius Riviera, w/ USAirways Vacations, Mar 04, Our trip was great. Paradisius Riviera was beautiful. We were able to upgrade for 6 of the 7 nights at $75.00 per night. It was definitely worth the money. The rooms were large and the oceanfront room included a private Jacuzzi on the terrace.Five out of the six restaurants had great food. The only problem with the one was, it's a steak house and in Mexico they don't have great steaks. Service was wonderful and everyone was so pleasant. One downfall was the ocean. It wasn't the beautiful Caribbean I am familiar with. It had alot of seaweed and was rocky. If you swam out a little and put your feet down you'd be in slimy seaweed. We took a trip to Tulum and the ocean there was spectacular. Next trip I'll research that further. If someone wasn't into the ocean, this place is high on my list.There were all age groups there too. From babies on up. We were impressed at how well behaved the children were. The weather was nice. There were always some clouds, but they were needed so we wouldn't fry. The temps were in the 80's. The one downfall here was, it was always so windy. There were different places to stay so the wind wouldn't bother too much. On the beach though, was not one of them. Thanks for everything. On USAirways, we not only got to sit together, but we had bulkhead seats to and from. Nice flights, but lots and lots of lines. I don't think we'll travel on a Saturday again if we can help it. Aruba Grand, Nov 2003, w/ USAirways Vacations: The Aruba Grand was perfect for what we were looking for. The resort itself is probably the smallest on Palm Beach. The rooms were large and very comfortable. There were not a lot of amenities but it didn't matter because there were large resorts - a Radisson and some other one I don't remember which, on both sides of us which provided more restaurants and activities if you wanted it. It was simple to get into town by bus and to take taxies to other locations. Of course there was a place to book sight seeing excursions and other activities with many activities right there next to us. The trip was great. Everything went without a hitch. The flights were perfect and we really enjoyed the complementary pass to the US Airways Club. Our only disaster was that Don got sick the night before we were coming home and I ended up taking him to the hospital there to be treated because I knew we would be flying and didn't want him to be too sick to come home. That turned out fine too. He got good care, a few prescriptions and made the flight fine. We had a great time, went to some great restaurants (most on the French side), rented a car for the week. All in all, it was just what we needed. You hit the jackpot here. This place (Riu Palace )is gorgeous. I think it�s the nicest place we�ve ever been. They really cater to your every need. The restaurants are wonderful and the beach and pool areas are really nice. We are allowed into the Riu Yucatan and the Riu Tequilla with our bracelets. We can use their facilities too. Dave said you picked a winner here. Thanks for all your work. Hola! Our trip was great - just what we needed and what a vacation should be: a total departure from our normal day to day lives in a warm, pleasant place. We were very happy that we opted for a relatively extended stay; six nights would have been just too short. Apart from having to wait a couple of hours in Customs in Mexico on our way in (the connection time was a bit too challenging for our luggage), everything went without a hitch. Very restful at times, enjoyably active at times -- we'd do it again in a heartbeat. We've already started talking about the next one. FYI: We would probably not stay at the same resort. Riu Playacar, while very nice in almost all respects, had a couple of problems. The most notable one concerned the air conditioning. While it seemed to cool the air to a point, for some reason it didn't seem to remove any moisture from the air. The room and our stuff was pretty damp, and when one entered the room one was greeted with a strong mildew odor. The smell became unnoticeable after 5-10 min in the room, but it recurred with every entry. Anyway, thanks for your expert setup help. We'll be back with Mariner Travel for our next vacation. Mayan Riviera MX, March 2003, USAirways VacationsI just wanted to give you a quick "review" of our trip to Mexico and the El Dorado Resort and Spa. It's a beautiful resort overall, but the rooms leave a little bit to be desired. They are out dated; bathrooms especially. There is no trace of carpet to be found and the rooms are tiled floors and ceramic tile bathrooms that need dehumidifiers. They smell damp and musty and are rather sticky all the time. The rooms are large enough, have a beautiful view of the beach/ocean, and the jacuzzi was wonderful. .Although the food was average, their desserts could be improved upon. One thing that people should be aware of, however, is just how "regimented" the resort is. You have to make dinner reservations between 8-9:00 a.m. to eat at the Mexican or Italian restaurant. If you miss that one hour of opportunity each day, you are out of luck. They then give you a reservation slip and treat you like a child should you forget to bring that slip with you to dinner. Tours have to be booked one day in advance (at least) and between certain hours or you are also out of luck. I think people found there were too many rules; no room for spontanaity and that is too bad. The transfers to and from the hotel went well, and again, the resort itself is quite beautiful. The people are friendly enough and are quick to offer suggestions. Thank you again for your help and I'll be in touch in the future to book next year's trip! Our trip went very well. The flights were comfortable and on time for the most part. I do wish airlines still served hot food though. The sandwiches are awful. Hodelpa Caribe was terrific. Our room was spacious and had a balcony with ocean view. The pool, shuttle service, massage $40 (very reasonable),beach,land scaping and service personnel were all terrific. I see no problem recommending this resort. Just checking in with you. The trip was fantastic. Galley Bay was wonderful - very private, very well organized, great staff, good food (not fantastic, but fine), clean. It was nice not to have kids around. We looked at most of the other resorts and were glad we stayed at Galley Bay - even tho it was expensive. Customs in Antigua was a real hassle since several other planes arrived at the same time. When we left Antigua (an hour late), we did not have enough time in Phila. We only had 15 minutes to do everything, but made the connection by 2 seconds. I think it must be a lot less stressful if you don't fly on the weekends - is that true? We really loved it though. Thanks for your help. Trip was great - nice and relaxing. The trip was great! The hotel was beautiful and the weather was so beautiful! Hola !!!! The trip was so awesome, Bill and I really enjoyed it. Would highly recommend in fact we are already saving for next year!!! The hotels were all beautiful and clean. We tried the different restaurants,( Mexican, Italian, steak house, French, etc.) Food was good but DO NOT ORDER SWEET BREAD..... this is actually cow brains. Was told it tastes like chicken..I will take their word for it. haha! We really liked Pineapple Beach. I am a convert. Just as you said, we met people on the bus from the airport and are now "best friends"! We even went to a wedding. Unfortunately for the resort ( but nice for us) it was barely half full. So we were upgraded to a water view room in a unit that is only a couple of years old. Thanks for all your help. We liked the Coral Costa Caribe in Dominican Rebublic. The resort was very clean and the people very polite. The weather was perfect and the food plentiful. We did have a few surprises though. As an FYI to pass on to other travellers, there is a $10 entry and another $10 exit tax per person to enter the country. That was an unexpected $120 for us. And this could only be paid in U.S. dollars. This became quite an inconvenience for us because we took pesos out at a teller machine only to be able to leave the country. The bank would only change over exactly $60 dollars...we were then told to spend our pesos in the airport. I wish we had known of this expense ahead. We would have planned accordingly. Naturally on the ride back to the airport, we got a flat and had to wait another hour on the sidewalk until that was fixed. Back to reality. Customs in D.R. was very unfriendly. We did find the language barrier tough there. But aside from the expected monkey wrenches, we did have a wonderful time. There were tropical fish in the swimming area so the whole family snorkeled every day. We made use of all of the water sports and equipment. The staff was great. The pools were refreshing and very clean. We tried all three. My kids made friends with children from France, Russia, and Santo Domingo which was a real treat for them. I would certainly recommend the resort to others. Yes we had a great time.the robinson is a nice place and the food was good. no complants here. give us a holler about next years trip.can't wait.tell fred he did a fine job and maybe next year we'll close the bar with him. thanks. We had a great, but too short, time in Mexico - great surprise. RE Robinson: The trip was excellent. Weather was great and the transportation was fine (even after checking in at the basement of Logan). Food was good, except the first night was a little too formal for most of us. The representatives did a good job down there and the excursion we booked through IMC (GWV) was very good as well. Our rooms were in completely different buildings at first, but they were able to change Laura and me before we were really set up. All in all, we had a great time and would recommend the trip to anyone. Just wanted to let you know that we had an absolute great time at Trelawny Beach. Josh and Matt were treated like royalty in the Children's center and everyone on the staff couldn't have been nicer and more accommodating. I had a great time even though I couldn't do much. We brought a wheelchair along and that gave me lots of mobility. The sand on the beach was so compact that I was able to crutch out and lounge out on the beach with everyone else. Thanks for arranging such a great trip. They all want to do this every other year, so keep your eyes and ears open for other sites. A couple of things that might be helpful if you send others there. The one area that was very poor was the room locations and the lack of organization in fulfilling our request to be close to each other. Steve and Dan ended up moving twice and Jeff and Karen once. They finally got adjoining rooms but it took almost the entire week and we were across the complex on a different floor. It's not a big thing, but it made taking care of the kids more difficult and there was no reason our requests couldn't be met since the hotel was emptying out as we were coming in. Also we had made our requests early and then re-confirmed them before our departure. I had also called about hair dryers and irons in each room and was told they had them. The person I spoke with almost seemed insulted that I asked. There were none. Luckily, we brought our own hairdryers and we didn't need irons. They told us they were about to redecorate the whole complex, so I'm sure it's going to be even nicer than it is now. Hopefully, they'll put some effort into upgrading their reservation system. It was still a great trip and we managed just fine. All of us would go back there in a minute. I thought you'd like to know that our hotel in Cuernevacca (Las Mananitas) was really wonderful, beautiful, comfortable, terrific food, great service. Thanks for arranging our trip so well. We want to thank you again for all the work you did putting our Honeymoon trip together. Sandals Ocho Rios was really nice. We were treated like royalty! We ended up with an ocean view room, it was great. Just thought you should know that my wife and I had a wonderful vacation, Robinson Club was beautiful, clean, excellent beach and the people could not have been nicer. Spring Break, 2004, Oasis Cancun, all-inclusive w/ USAirways Vacations Our trip was great. The best week of my life. We are definitely planning on doing it next year. Thanks for everything!! Spring Break 2004, Carisa Y Palma, Cancun w/ Suncoast Vacations, The trip was wonderful, everything went smoothly and we all got a great tan. Thank you again for all of your help! We had an awesome time thanks again! Everything was great in jamaica. It was everything that we wanted plus more. Thank you so much for helping us plan the trip, I'm sure we'll see you again next year. The trip was great, we had lots of fun and the weather treated us well. The Holiday Inn there was really nice, and the all inclusive package was so convenient. We definitely lived it up this past week- I feel like I need another vacation! Anyways, thanks for all your help, the trip went smoothly and we had a wonderful time. Cancun was great, except our free meal plan included a one dollar charge for breakfast, and a two dollar charge for dinner, not including tip. Other than that, it was great!! It was awesome! We actually got bumped up to the Riu Bambu because they overbooked the Melao....we had no problems with that at all!! :) The weather was great and it was soo beautiful down there. The people were friendly and the food was pretty good. It wasn't a problem, but the only thing that did happen was that by the end of the week (we talked to quite a few people about it) people were getting diarrhea. haha...Just as long as you found a bathroom, you were okay, Overall we loved it and had a great time! Thanks! Everything turned out fine. We got on the flight just fine, it turned out that the terminal that you told us was the correct one, it was the airport that messed up the schedule. We actually never paid the hotel deposit because we assumed that it was included, but it turned out fine, the hotel wasn't the nicest in the world, but we weren't there very much so it didnt really matter. We had so much fun Nassau was beauttiful and out of control (or maybe it was us that were out of control...)and thanks so much for helping us out with everything, Im sure we'll be talking to you again next year about wherever we decide to go!! Everything went as planned. It was an amazing vacation!!!! It was a great Spring Break spot. If anyone decides to go there I would suggest the Radisson or the Bahia Mar. The Radisson is a little nicer, but the Bahia Mar is less strict. I would also suggest getting a room with a kitchen or a condo. It's worth it. Thanks for your help. Our trip was good, although it did get off to a rocky start. The STS program was very organized, and we enjoyed all of the activities provided for us. The hotel was a little less than we expected (cleanliness etc. ), but tolerable. Overall we had a great vacation. Thank you very much for all of your help. I enjoyed it so much , thank you for everything you did for us. ....our trip couldn't have been better. The first hotel, Villa Garden in Sorrento, was quiet and about 20 mins walk outside of the downtown - just what we were hoping for. It was small (almost like a b&b) and they were very friendly. The car service was prompt and contacted us 24 hrs in advance of each pickup. The second hotel, Bucadi Bacco in Positano, was amazing. Really excellent location, very friendly staff, good restaurant, etc. Thanks so much for your help in planning our trip! We loved the Rimini Hotel in Rome. It is across from the via Marsala exit at the Termini station (good to let them know - we exited the other end and and walked around the entire station - NOT a good idea with luggage). They also recommended a wonderful restaurant around the block called Trattoria del' Omo. We went there twice and absolutely enjoyed it. As for the hotel - it was nothing extra special, just a room and a bath, but very nicely furnished, good water pressure, and very clean. The breakfast was nice too. Great deal for the money! Marianne --In short, we had a wonderful time. The weather was hard to believe (in the forties and mostly sunny). It was so good in Vienna that our walking tour turned into a van tour of the city and the woods above it. The tour people who assisted us were very helpful. We even got to a concert in the Music Hall that is famous for its acoustics, and the concert -- Hayden, Mahler, (and a bit of Wagner in honor of one of the music boosters who had recently passed away)-- was spectacular. Prague, of course, is a beautiful city to walk around. We have the feeling we could go back many times before getting anywhere near exhausting the possibilities. So, anyway, thanks so much for your organizing of it. I'm sure we will be back for more travel expertise before long. We are already talking of next year's possibilities. Paris was grreat, the weather was perfect. Every thing you did for us was perfect, the flights, the hotel, museum passes, tube passes, and tranfers. Thank you. Spain, Costa del Sol, Central Holidays, October 2003: The trip was great, the weather was lovely the entire time and I was right on the beach, which is what I wanted. It ended up being no big deal that I was a day late, I still got to do everything I wanted. Thank you so much for all your help during the power outage - offering to let me call you at home certainly wasn't necessary. I tell all the junior bankers that I work with that if they are thinking about their next trip, they should definitely use you. July 2003, France, American FlyAAway fly/drive It was great (but, er, I chickened out of the bicycling--too hot, humid, and hilly for me; �the guys soldiered on). The Peugeot 307 (through Auto Europe) was super--a fine little car--and the hotel in Paris was totally all right (I rather expected something a shade tawdrier because it was in the Pigalle quarter, but it was American-level quality and just fine). Of course the drive to get out of CDG airport was a horror: traffic all over the place! But the French have marked their roads very clearly, and the drivers seem to be quite civilized. Got to see Lascaux II (the replica; they don't allow the public into the original) and some truly swell castles. Loved it all. Again, thanks for all your hard work. London, Feb. vacation 2003, British Airways, London Thank you so much for everything. The flights (BA), and hotel (Radisson Edwardian Vanderbilt) were perfect. The tube pass was very well used. I loved London, and saw so much. I got out to Windsor, Hampton Court, and Greenwich. I got to see 4 shows, and shopped quite a bit. Safety was never an issue.Thank you for all you did!! France, USAirways Vacations fly/drive We had a great trip to Paris. thanks for your help. UK/Prague 2002 Trip Providence - Philly - Manchester went beautifully. [Wales was gorgeous! Really MUCH improved.] Flight to Praha was perfect. Praha is the most beautiful city that I have ever visited. Early Fall is a great time -- perfect weather. Beer is cheaper than water. City is making a monumental effort to recover from devastating floods this June. We had very nice accommodations right off the main city square in a tiny reconditioned hotel, with central courtyard, looking over gingerbread buildings across the street. Safe, even late at night in all areas of city. We managed totally in English -- place is VERY tourist friendly. We road buses -- subway system is still disabled from floods. Managed cabs. Music WONDERFUL!!!! Trafalgar Tours, 2002 Diane and I had a wonderful time on our trip to Germany. We would recommend it to anyone. Planning our next one already. Student abroad I can't express how grateful I am. Thank you so much for the trouble you went through for me. Spain, 2002, Central Holidays Hi ...the trip to Spain was wonderful. Central Holidays reliable and waiting for us at each destination. Our flight to Barcelona had been cancelled and we were rerouted through Madrid where we had to change planes, which was okay though the airline said that we should have been contacted by Central Holidays about the change since it had been made two weeks earlier. However, there were many others being rerouted so it didn't seem that anyone was expecting it. All three cities were so different! Bilbao is a real gem...still unspoiled. We did a side trip to Toledo which was superb. All the hotels were good. The Bilbao one was really grand. Also, the Bilbao airport is just a year old and is very futuristic looking. Poor B.... had to put up with two visits to the Guggenheim with me. He is not a fan of modern art, but the building itself is the greatest work of art there. We both felt that the trip was an amazing deal cost-wise. The fact that the dollar is high and the food so inexpensive made it even better. We didn't even spend $500 on food though we ate in some fancy restaurants. After about 8 days I was craving a bagel but there was none to be found. Also, the women who work for Mundi who met us in Barcelona and Madrid were both excellent and patient. Obviously love their jobs. The drivers were also terrific. It was so great to have the arrangements made for to and from the airport. Anyway, thanks for recommending this package. We will use this company through you again. Just the right amount of contact for us since we like to be free to wander about. 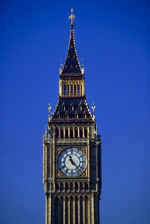 My next international trip is England in Feb-2003 with my daughter. I'll be talking to you about it. After that, I think that B... and I will go to Italy. Thanks again for all your help. It was so great an experience. EVERYTHING WAS GREAT. FLIGHTS WERE FINE. WEATHER TERRIFIC. LINES WEREN'T TOO LONG AT ALL. SEAWORLD WAS WORTH THE EXCURSION. ALL STAR WAS OKAY. NATL CHEERLEADING CHAMPIONSHIPS WERE GOING ON. LOTS OF GIRLS FORM 6 TO 14 WALKING AROUND WITH ROLLERS IN THEIR HAIR FOR THE COMPETITION. OTHER THAN THAT AND THEIR NOISINESS, FOR THE PRICE, CAN NOT COMPLAIN. THANKS FOR BOOKING ON SHORT NOTICE. WE'D DEFINITELY COME BACK TO YOU WHEN WE SAVE SOME MORE MONEY. Our trip was GREAT- however I can honestly say once is enough for me:) We were actually really lucky-the only crowd we hit was at the water park-due to it being the only one open. The lines were not bad-only used fast pass once or twice! The kids had a ball and it was the best it could be. It is not my ideal vacation as you know but I am really glad we went. The planning on your part was superb!!! Thank you! Our next trip will be on a boat or beach in the Caribbean. I will be in touch in a few months to plan that one! The cruise was terrific and exceeded our expectations. Accommodations and service on the Millennium were excellent. Thanks for your help in putting things together. It was great! No complaints. Great food, great weather, great friends, great entertainment and activities,and all the staff were enthusiastic, friendly and helpful. I reccommend this ship so highly and everyone I have spoken to from other ships that are more world travelers have said there is nothing like Celebrity cruises...I agree. Celebrity Cruise, "Millennium" March 2005Marianne, The Millenium was awesome!!! Shelley and I swam with dolphins in Nassau (not the ship's excursion, we did it thru their website) and I did an underwater BOB adventure in St Thomas where I was under 10' of water on a scooter with a bubble on my head. I didn't think anything could top Royal Caribbean (Mariner of the Seas-my last cruise), but Celebrity did. It's a step above in all areas. Holland American, Oosterdam, Western Caribbean, April 2004. The trip was wonderful. Great ports of call, excellent service and a gorgeous ship! The food was excellent, although the portions were a little on the small side. They were a little too strict with the dress code (even on informal nights they request the men to wear a sports jacket). But otherwise, it was a great trip and I'm sure we'll cruise with them again in the future! The cruise was so nice!!! I cried all the way home on the airplane. Now we are looking to book a Hawaiian Cruise for the same time next year! Carnival Inspiration, Dec. 28, 2003 We had a great time, weather was great, food even better. The only drawback to whole thing was how crowded the cruise was. There were almost 500 kids on the ship, a lot of little ones. Everyone (including us) took advantage of the 2 week holiday. Next time we'll try not to go that week. Thanx for all your help. Norwegian Dawn out of NYC, December 2003 Our trip was wonderful. I've always loved cruising, but the one thing I told our daughters was that we will never go during a school vacation again. Man, was that ship packed. 2200 passengers, and of those 942 were kids!! Still a great time! Please continue to send me e-mails of great deals. We'll see you to plan our next trip. The Victory was absolutely beautiful. We had a wonderful time - thank you again for your help in making our trip enjoyable. We will definitely contact you for any future trips. I think that �the Alaska cruise on the Star Princess was excellent. Service was very good and food was outstanding. Weather could be better but this is not something you can control. One side effect of the trip is weight gain. We saw tails of few whales and many sea otters. No bears. I highly recommend this trip to other people. Thank you for assistance with our trip. I can't thank you enough for getting our flights straightened out for us. We had a great hotel room last night and no problem this morning catching our flight. The kiosk machine at Bradley was great. We only waited 20 minutes to get through check-in. The people were a lot of help. Then we had to wait 1 1/2 hours to get through security!!! We made it though. Our flight was held 45 minutes so everyone could get on. We were in West Palm at 11:30 and by the pool by 1:00. ....We can't wait to get on the cruise. Thanks again for putting up with me these last couple of days. I really appreciate all your help. We couldn't have done it without you. We had a wonderful time on the cruise. I would highly recommend Carnival. We had a balcony room with lifeboats outside, but they really didn't obstruct any view. Thanks for the gift certificate for pictures. We did have a family portrait taken. Nobody got sick. I wore the seabands but took them off the first night. We had some really rocky weather on Monday -- the day at sea -- but we all did fine. We thought the food was good. We particularly liked the Mermaid Grille. New Year's Eve was really great. They had a band on the top deck. We went to David's Supper Club one night, and that was very good. The shows were great. The only bad point of the trip was getting down there. If I had it to do over again, we would go the day before. The first flight we were on the runway and the pilot aborted take-off -- a gauge wasn't working right. Back at the terminal, the mechanics couldn't fix it, so they had everybody get off the plane and go back up to the ticket counter to rebook. USAir didn't even give us a separate line. They lumped us in with everyone else flying out. I called Carnival to let them know what was happening, and they got on the line with USAir and said that we couldn't get out of Providence that day, so they booked us to Nassau the next day to catch up with the ship there. Carnival said to go back to the ticket counter and get new tickets. When we did that, we got a terrific ticket agent, who got us on another flight that took the place of the first flight. She got an override to get us on it because it showed there were not enough seats. So we rushed to get through security check all over again. The first time we had gone through fine, but this time, they were really being idiots checking all through everything and really holding us up. Ryan was the only one who got through O.K., so we sent him down to hold the flight and we got on fine. First crisis solved. We got to Pittsburgh and they called our names and said they had seat assignments for us and to stay on the plane. Second crisis solved. But then nobody else was getting on. One of the flight crew then told us that an indicator light wasn't working and they were replacing the whole onboard computer system. We were going to get to Orlando about 2 1/2 hours late, and at this point we didn't think we would make the cruise on time. But Carnival pulled through. They were waiting for us as well as 30 others who were also on that flight. We left the Orlando airport at 3:00. They had two reps who checked us all in on the shuttle on the way to Port Canaveral, and we made it just about a minute before sailing at 4:00. We felt like we were in an episode of Amazing Race. It took awhile to settle down and believe that we were actually on the ship but it was all good after that. We want to thank you for the bottle of wine and pictures you gave us for our recent cruise. We had a great time on the Dawn Princess, and Chris and I can't wait to take the next cruise. However, I first have to lose the weight I gained. We'll call you when we're ready for another. Other clients who got back Safe and Sound! The trip was absolutely wonderful. The flights weren't too bad, although we were in the absolute back/middle of the longest plane rides, but our layovers were extremely short so that eased the pain greatly. The Turtle Bay was awesome. I'm sure it had something to do with it being offseason, but they treated us like kings and within a day or so, it seemed like everyone who worked there knew our names and were extremely friendly and always genuinely interested in us and whether we were enjoying ourselves. We definitely enjoyed the North Shore more than if we had stayed in Waikiki. We also loved Oahu a little more than Maui just because by staying on the North Shore we felt it was more homey than touristy. We would absolutely recommend the Turtle Bay to anyone. Maui was extremely adventureous. The Royal Lahaina was a serious step down in luxury, although I can see if people were going economical, they might like the cornyness of the place. Their service,food, etc. were pretty weak as well, but by getting the ocean view deluxe, we did have an incredible view of sunset of Lanai and Molokai every night. Although we preferred Oahu, we did do many "only in Maui" type things like Sunrise and Horseback riding in Haleakala and the road to Hana all the way around the Mountain. If you need our opinion on anything we experienced, please feel free to contact us, in two weeks without kids, we managed to cover a lot of ground. Well that's very nice of you and United. Marianne I cannot thank you enough for all your hard work in getting us tickets and for finding a way for my children and I to travel back together its our first airline flight together you helped make a very special memorable moment. and i thank you again. I will always book my flights thru you. Hawaii, Blue Sky Tours, April vacation 2004, Marc Pali Ke Ku on Kauai and Royal Kahana on Maui. We had a great time. Matthew had a lot of fun in the pool, playing on the elevator and running up and down the hallway! The hotel (Crowne Plaza), worked out really well. The people were very nice and it had a great pool and beach. Thanks so much for your help on this - we needed the time away! We are back from Hawaii. The trip was great thanks for your recommendations. Flight and all accomodations were great. The trip was GREAT!!! Sapo Dorado was nice. It did not have a sense of itself and was trying to cater to Americans too much. The food was ok (local breakfast was good) and the people were not all that friendly. But VERY clean rooms and quaint. Parador was EXCELLENT! It had character and style. The food was great and the staff was very friendly and nice....We got great pictures and enjoyed the country very much. We arrived home last week from our vacation in Hawaii, what a great time. Thanks for setting everything up. The kids loved it and being with the cousins was great. The condos were very nice and only 3 blocks from Waikiki, cannot go wrong. The kids want to know if we can do back?? Thanks for getting us out of Chicago! Thank you for letting we know about the flight cancellation, it all worked out fine, I was happy to get home safe. 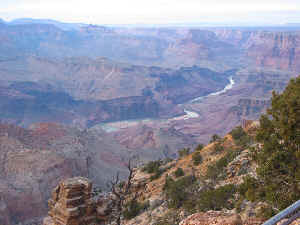 Trip was great, the detour to the Grand Canyon well worth it (see picture). Treasure Island was only about a block from the Sands Convention Center.